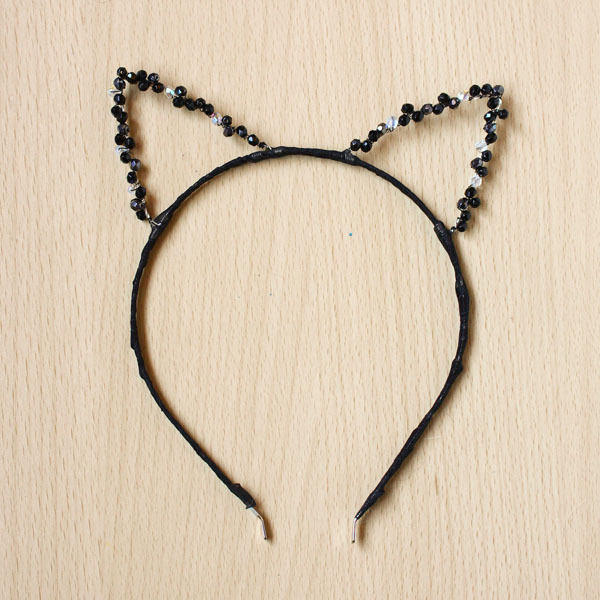 Don’t settle for the standard furry cat ears this Halloween, DIY your own stylish beaded cat ears headband instead! When it comes to fancy dress parties, Halloween and New Years, I’m not great at coming up with costume ideas so I usually fall back on dressing up as a cat. It makes sense as the owner of two myself. Having made myself a felt pair a few years ago, I decided to upgrade to this far more elegant version. 1.First we are going to make the ear shapes. 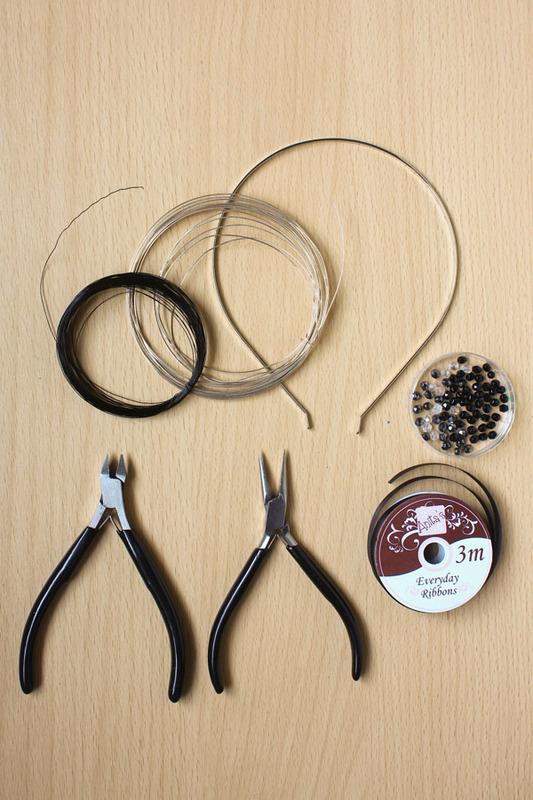 Cut 2x 60cm lengths of the 0.6mm wire and start twisting them together, leaving the ends on either sidefree. Keep twisting until you have a section about 10cm long. 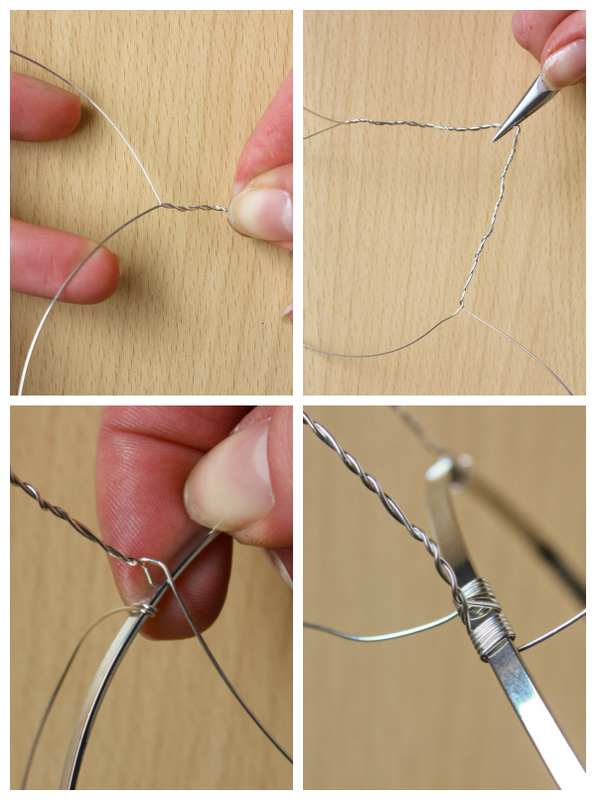 Bend the twisted section into a triangle using your pliers. Place the ends of the wire on either side of the headband and firmly wrap around. Repeat for the other wire and cut off any excess. 2.Repeat step 1 to make the other ear, leaving a bit of a gap between them. 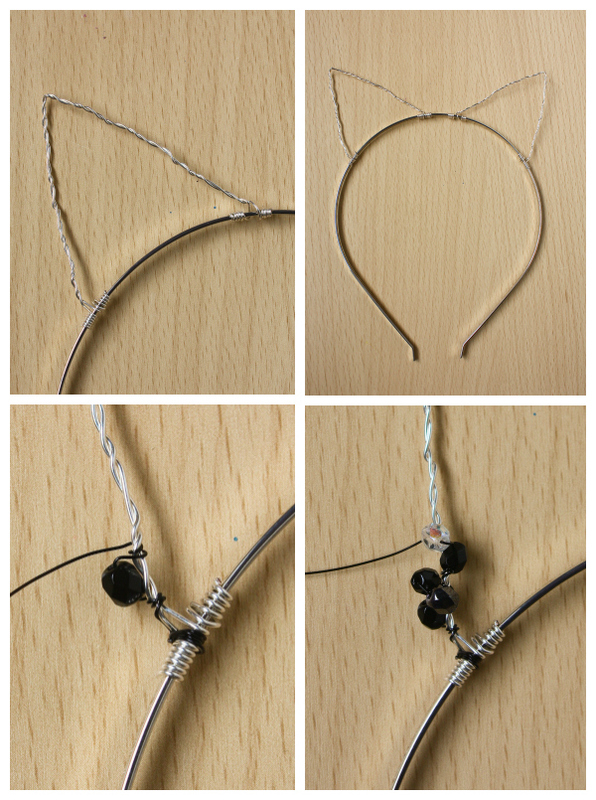 Cut a manageable length of the thinner 0.4mm or 0.3mm wire and wrap around the band at the base of one of the ears to secure. Start to add on the beads one at a time, wrapping the wire around the twisted wire in between to secure. Try not to add them in a straight, row, but stagger them, so sometimes they are on opposites sides or on the top. I have used mainly 4mm black beads with some haematite and crystal AB to add interest. Keep going until both ears are covered in beads. 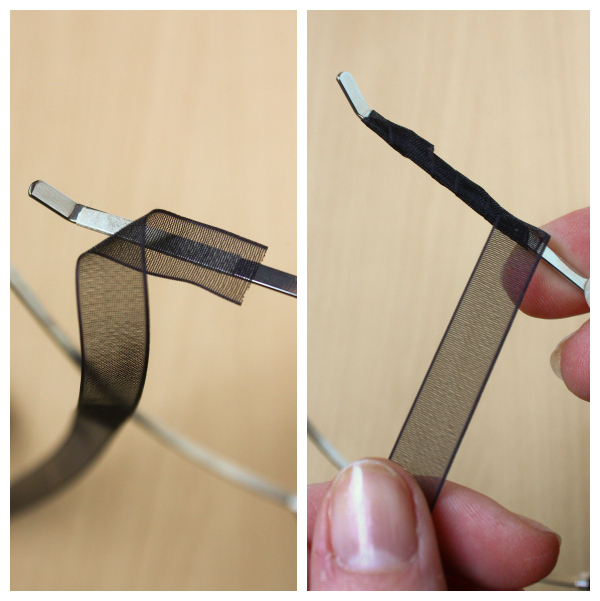 3.To finish, wrap the ribbon around the band, securing the beginning and end with some double sided tape. Wear your cat ears with pride! Let me know if you make your own version by commenting below, or message me on on Twitter, Instagram or Facebook! Happy Making!